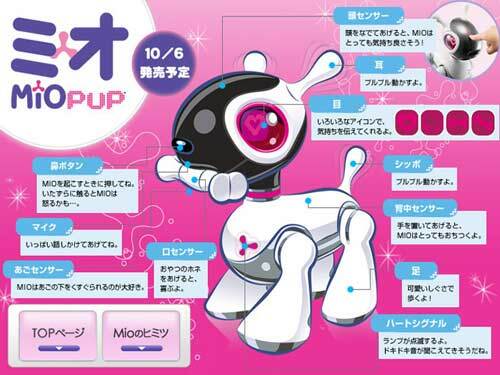 The former game giant’s most fun wing has unveiled a walking toy robot, known as Mio, that looks suitably futuristic and which has Aibo-like sensors for responding to being petted. The sensors on its back, chin and head are accompanied by screens that serve as expressive ‘eyes’ with hundreds of different emotions possible. In other words, if you send it to the doghouse, it’s capable of looking like the sad puppy it is. Considering that Mio will cost just ¥9,240 (£75) when it’s released in October, we don’t expect it to be as smart as its illustrious predecessor, but at least you won’t have to break the bank to find out.